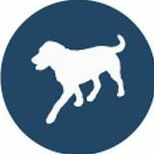 Labragirl Media Project - Get Involved. Make Friends. Enjoy Motherhood. We support parents and teachers who want to help their children and students to move from unconsciously consuming images to thinking critically about the media. Labragirl Media Project’s goal is to help parents who want to learn more about how to help their child/ren interact with media images and social media safely and critically. Our normal pricing for our 2-hour “Think Images” workshop is: $20 per person. We will offer MOD Moms the price of $15 per person. We also offer a 3-part parent salon. We will offer MOD moms 15% off all levels of our parent salon.